Tonight, top conservative radio host and author Dana Loesch, told Megyn Kelly that Harry Reid should face censure by the US Senate for his shameless lies about Mitt Romney. Until he steps down, until he is done with his seat, he is going to be celebrated and everyone is going to speak of him so fondly. He is leaving behind a record of destruction in the senate… Enough is enough and he needs to be censured for this. Honestly I’m not going to be surprised if that never happens because there are no ethics, there is no morality. You have a party, as I said, that just wants to win. They don’t care who they throw under the bus. They don’t care of the truthfulness of it. They don’t care about the morality. 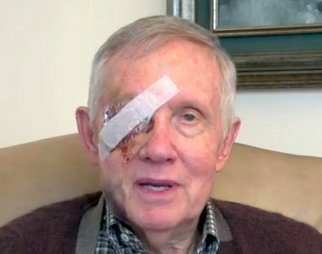 The reason we are in the situation we are in, in politics, in the United States, is because of people like Harry Reid and people with more zeal than ethics.